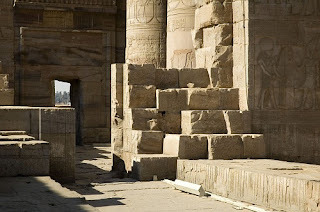 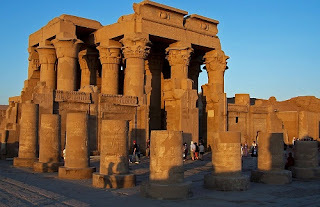 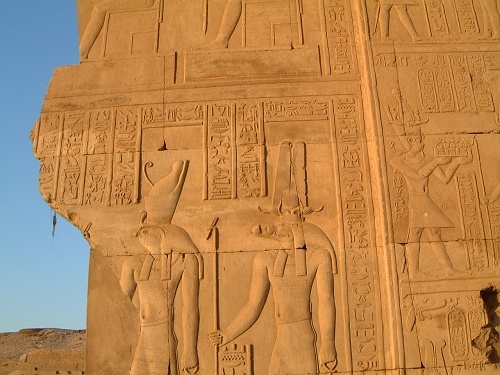 The Temple of Sobek and Haroeris in Kom Ombo (also known simply as Kom Ombo Temple) dates from about 180 BC during the Ptolemaic era, with additions made into Roman times. 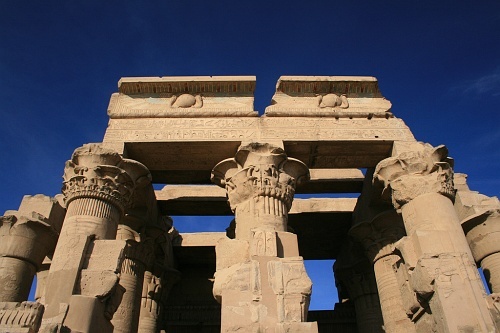 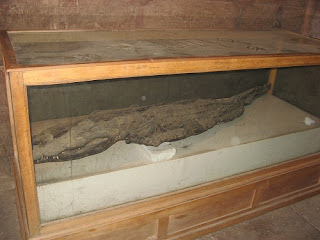 It stands right on the bank of the Nile between Edfu and Aswan, making it a convenient stop for river cruises. The Birth House of Ptolemy VII was mostly washed away by the Nile in the 19th century, but a doorway remains intact. 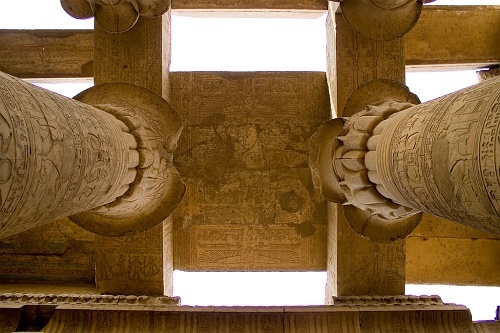 See the Edfu Temple for an example of a surviving birth house, which was an element unique to Ptolemaic temples. 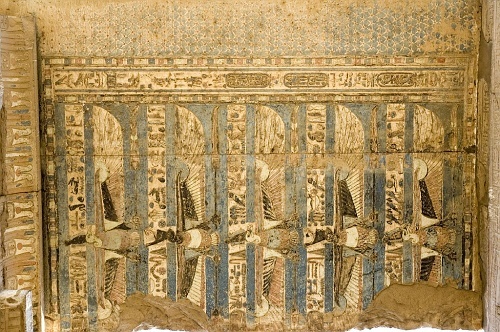 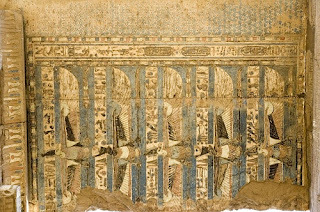 A few faint reliefs can still be seen, including one showing Ptolemy IX and two gods in a papyrus thicket, observed by an ithyphallic Min-Amun-Re holding lettuce (symbolizing fertility).